Clubhouse :: Mature downland course, with its rolling fairways, and stunning views over the horizon of London. The clubhouse is situated in the leafy suburb of Sanderstead, Surrey and is on the left-hand-side of Purley Downs Road heading down the hill from Sanderstead Village. We are proud of having a reputation of being a very friendly and welcoming club, with a membership limit that is lower than many clubs in the locality. Our golfing membership usually varies between 520 to 550. As soon as you enter the front door you experience the feeling of tradition and history. The club has two well-stocked bars, selling a range of cask beers, keg beers, lagers and stout. A full wine menu is also available. Our catering services are provided by our in - house catering team with members, guests and visitors enjoying a full range of eating requirements from daily snacks to high quality dining. See Dining and Bar for more detailed information. The dining room enjoys a superb elevated location looking out over the 1st green and 18th fairway. A recent initiative undertaken to enhance the atmosphere and ambiance was to provide diners with round tables of varying size. These can sit between 8 and 10 persons and the room can cater for up to 60 diners. During 2004 a wooden floor was laid and this can be used as and when required for a small dance floor. Subdued lighting was also installed. 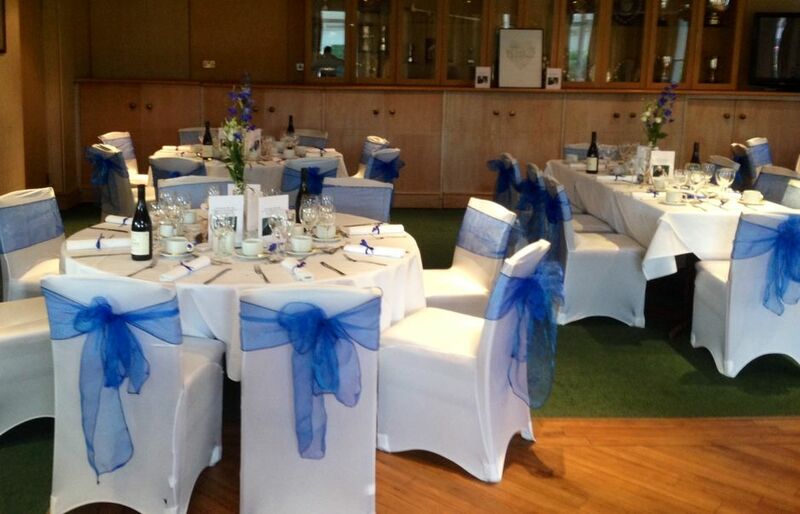 Adjacent to the lounge is the ballroom which enjoys marvellous panoramic views of the golf course. 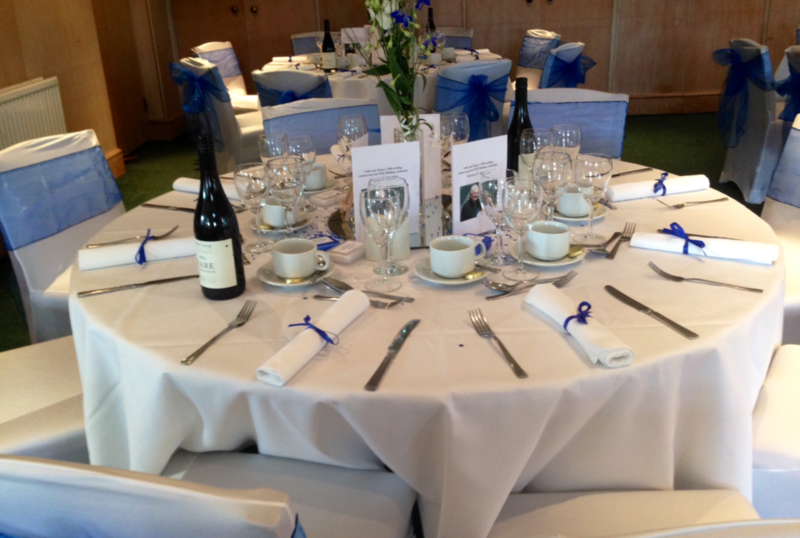 This room is used for a variety of purposes including the Summer Ball, Valentine’s Night and formal dinners such as the annual Captain’s Dinner or the President’s Side versus the Rest. It is also used for whist and bridge drives. Two full-size snooker tables are located on the first floor, as is the general office. The club has two TV sets, one being a Plasma screen, which are linked to Sky Sports. 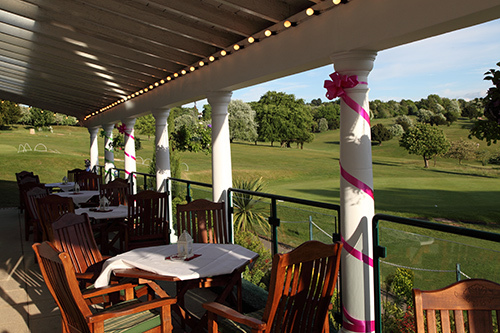 A superb feature of the club is its terrace and veranda, which have magnificent views over parts of the course, particularly the 1st a par three and the club’s signature hole. You can relax in the warm weather and enjoy the tranquillity and vista with a drink, lunch or both. The club has recently commissioned a qualified interior designer to see how the layout and design can be improved in order to cater for the needs of the 21st century.